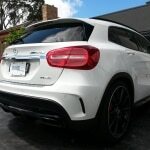 What is a nano ceramic paint protection? #wordlclass – Designed and tested in Germany – Continuously developing and improving its current line of products as new more advanced raw materials and technologies come available. How is this any different to what was available 5 years ago? As time progresses, products advance and we choose to follow suit and advance with new application techniques while offering new services. 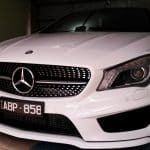 We will only apply what we believe to be the very finest of paint protection coatings and take a great deal of pride in our services and the products we choose to apply. What is the process involved in having a ceramic paint protection applied to a new or used vehicle? 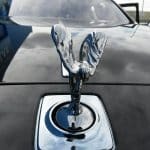 Can I drive my car the same day after application? Still not sure? Do you have any reviews? Vidoes? So, what makes Autotriz different to every other coating available? Tradition coatings improve the paint hardness by an average of anywhere from 4H-7H on the pencil scale by creating an additional hard superficial layer of coating. Although the benefits of these coatings are numerous and random, overtime efficiency and performance will decrease and continuous maintenance is required to keep these effects. Traditional ceramic glass coatings that offer active properties like (Silica, Siloxane, Quartz, Crystal or Mohs) Just to name a few. On another scale is Autotriz 3D Matrix, a nano ceramic structured coating that forms a permanent bond to the paintwork ensuring long-term durability with minimal maintenance, while providing amazing depth of gloss & reflection. What type of scratch resistance will a high quality nano ceramic paint protection offer? Do new cars really need an extra layer of protection? Will you come to me or do I have to leave my car at a workshop? 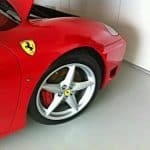 We simply are car enthusiasts and know just how critical it is to protect your vehicles new paint. 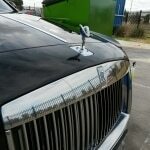 Traditional car waxing is a temporary solution and really isn’t the best option anymore. 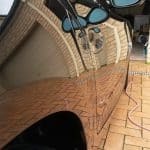 The paint protection systems we use are a long term solution and believe are much more efficient in protecting your vehicles paint work compared to waxing or other solutions. The boys at MMD are the best in the business. The GTI & R Owners of Melbourne (Club) only trust the team at MMD with their cars. Hi. 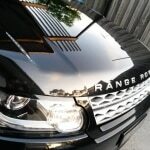 Can you please provide the prices for new car paint protection products/services. Please contact me regarding having paint protection carried on on my new car. It is a Nissan Patrol Y62. I expect to take delivery of the car within the next couple of weeks. We live in Cockatoo, near Emerald in Melbourne. Please advise cost and lead time.